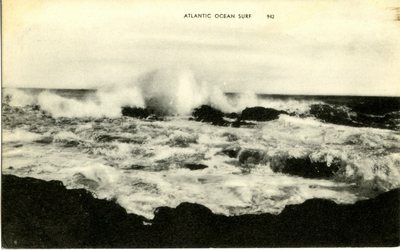 "Atlantic Ocean Surf Postcard "
A black and white postcard of the Atlantic Ocean surf. Large waves rise over rocks with great force. No additional information about the date or exact location for the image is printed on the postcard.